James T. Mael, 77, of Monument, Ore., passed away peacefully at his residence. He was born in Pendleton to Stoney and Ruth Mael. He attended most of his schooling at Ukiah, Gibbon and Weston, Ore., and he graduated high school in Enterprise in 1959. He entered the U.S. Navy soon after graduation and completed his basic training in San Diego. He was assigned to the aircraft carrier USS Princeton LPH-5 in the Philippines 1959-63 as a sheet metal worker building and refurbishing ships and boats. He received his honorable discharge in 1965, after his three years of serving in the reserves in the Navy. 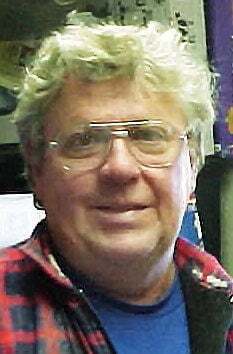 His line of work was a auto body mechanic, mill worker and in his younger years a firefighter. His hobbies included hunting, fishing and trapping, along with his participation in car shows, in which he won multiple awards with his 1976 Luv pick-up. He was an enrolled Assiniboine-Sioux at Ft, Peck, Mont. He was proud of his Native American blood-line and used his skills to build reproductions of Native America weaponry, which included lances, bow and arrows with quivers and tomahawks. He was also a master at making horn-handle knives. He is survived by is wife, Suzi, of 32 years; daughters, Toni Jones of Cove, Ore., and Staci Perry of Portland; step-daughter Pamela Pollard of St. Petersburg, Fla.; and Step-son Bryon Gardner of Orlando, Fla., as well as several grandchildren and great grandchildren. He is proceeded in death by his parents, both sisters and his step-son Scott Gardner. At the families request, memorial contributions may be made in his name to:= Hope 4 Paws in John Day, Ore., or Silent Wave Horse Rescue, Kimberly, Ore., through Driskill Memorial Chapel, 241 S. Canyon Blvd., John Day, OR 97845.